I have noticed that my weight clinic patients have been more emotional than usual this last week so I started wondering: is this coincidental or does it have to do with the fact that Thanksgiving is next week? Truthfully, I think most of us feel more stress and anxiety leading up to the holidays, sometimes without even realizing it. This can be especially true for those of us who are dieting or feeling self conscious about our weight. 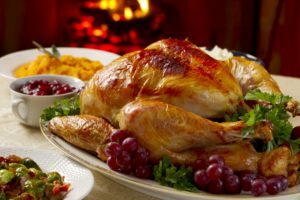 There are many wonderful traditions and experiences surrounding the holidays that bring us joy but let’s be honest, most of them at least include, if not totally revolve around, food and alcohol. So how can we get through the holidays, de-stress, stay healthy, and be able to enjoy ourselves without gaining weight? Be Mindful. Think about what you are eating before you put it into your mouth. Make the decision that this is what you want. Don’t just eat something because it’s there or because someone gave it to you. Think about the top 3 items that are seasonal that you love and splurge on those as a special holiday treat (1 time each!). Don’t waste your splurges on those store bought cookies that someone brought into your office and don’t go to Starbucks to try each new holiday drink just because it’s seasonal. If someone presents you with a treat or loaf of banana bread take it, tell them thank you and you are going to save it for later. Then you have time to decide what you want to do with it. Is it something special that you really want to splurge on or is it something you can go without? If it’s something you don’t really care about give it to someone else, the dog, or throw it away. The giftor will never know. Another option: if it’s something you don’t want to miss out on but you aren’t ready to derail your diet for the day, put it in the freezer! Save it for a time when you’re really needing it or planning for it. You may decide later that you don’t even want it. You don’t need to bake all those cookies as Christmas gifts. Find something else homemade that you can make as gifts such as makings for tea, DIY face scrub or lip balm. I use pinterest for any DIY ideas like this. 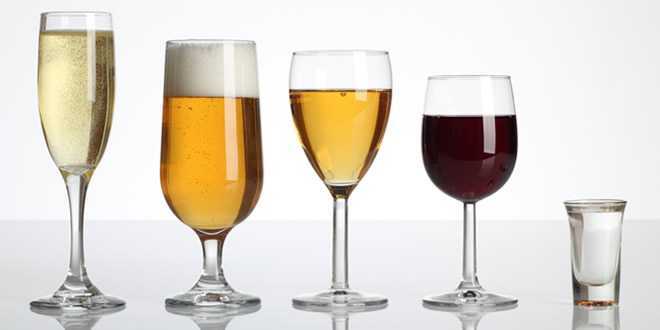 If you go out drinking: stick to a glass or two of wine and drink a glass of water or club soda in between. Sip on it slowly. OR get a drink of your choice hard alcohol (unflavored vodka, rum, tequila, gin, whiskey) with a calorie-free mixer such as club soda or diet coke with a lemon or lime. DO NOT order cocktails with mixers or juice such as long island, pina colada, margarita, cranberry juice, regular soda. Again, keep it to one or two and drink water in between. Don’t starve yourself before a holiday feast. You will only end up eating more or making unhealthy choices because you are so hungry. Instead, snack on something with protein every 2-3 hours from waking up around 100 calories each so you are fueling your body until the feast but not taking in too many calories. A protein shake, 12 almonds, a yogurt, a hard boiled egg, a cheese stick. These are some ideas for 100 calorie snacks you could go for. Don’t sit at the table of snacks waiting for the big holiday meal. Sit or stand somewhere else. Even better yet, go for a walk with a relative. Avoiding the high calorie snacks before the meal is probably the most important rule for saving hundreds, if not thousands of calories at a holiday get together. If you are requested to bring a dish, bring something healthy. Maybe a veggie tray with hummus or tzaziki dip or some deviled eggs using light mayo or greek yogurt in the filling. 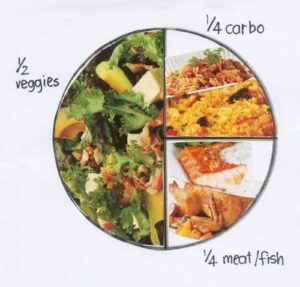 Dinnertime: Fill your plate ½ full with vegetables, leaving ¼ plate for protein and ¼ plate for a sampling of the higher calorie dishes. Relax: Try not to stress about every meal or night out. Be confident in yourself. Think quickly about what you plan to drink and/or eat that night and stick to it. The more you think about it and stress over it the more likely you are to get overwhelmed. I could probably go on forever but I think that’s enough tips for now! Thanksgiving is coming up soon so try to just focus on enjoying the time you have with your family and do your best to make healthy choices in the meantime. If you eat or drink something that you’re not proud of, don’t beat yourself up about it! Move on and focus on healthier choices next time.